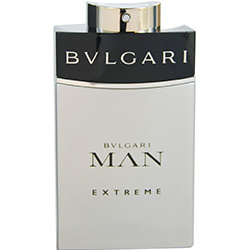 Bvlgari Man Extreme is the perfect fragrance for lively and sporty men who like to get the most out of life. Luxury design brand Bvlgari introduced this fragrance in 2013. Its clean and fresh bouquet features zesty notes of pink grapefruit and bergamot, carefully combined with woody and subtle floral accents of cactus, white freesia and cardamom. This fragrance works well for daytime wear, taking you from class to a weekend soccer game with your friends. Bvlgari Man Extreme smells great on the opening. Citrus, woodsy, cactus is wonderful. This lasts for about 30 mins and then is barely even a skin scent after that. I have tested this on others and on paper with the same result. If you want a shower scent to refresh after some sweaty work, then maybe this is it. Me encanta esta fragancia , un olor agradable, la recomiendo para todo aquel que desee sentirse bien. I've been a big fan of the original BVLGARI (the folks who sell high quality diamonds and gems) for yrs. I thought that I'd the BVUGARI MAN EXTREME especially for the winter months. It does indeed meet all expectations, but IT IS Extreme. A little goes a long way & lasts for hrs. I also recommend the shower gel. I HAVE LOVED THIS COLOGNE BVLGARI FOR AT LEAST 15 YEARZ ONE OF THA BEST OUT PERIOD! IT LAST LONG ON THA BODY FOR HOURZ AND LIL BIT GOES ALONG WAY PERIOD!-/#CHEISALIVEANDVERYWELL! CHE'~3~10~2017!